​Jeannette Ginslov has facilitated Screendance Workshops internationally since 2010 in South Africa, Rwanda, Denmark, Norway, Sweden, USA, Hong Kong, Portugal, UK, South America and Germany. From 2014, this has included the use of AR or Augmented Reality and Screendance within interaction designs. 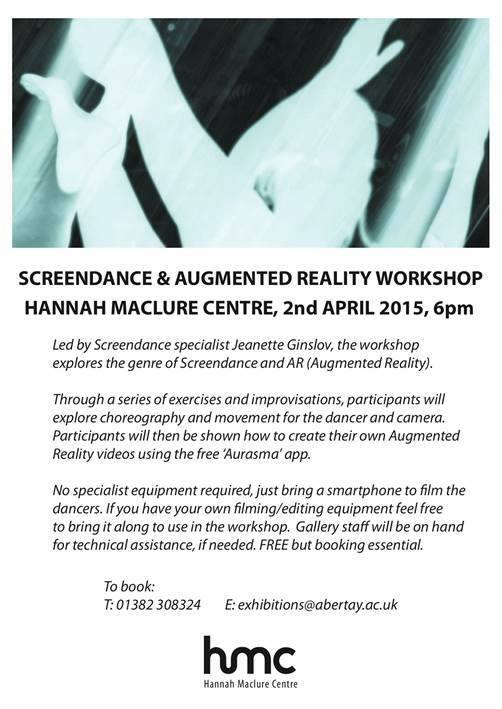 "The Screendance and Augmented Reality workshop is an exceptional experience in the field of performing and visual arts specifically related to the field of dance. We received an inspiring overview of new media applications and experienced the fusion between digital art and dance on screen. The application of the Augmented Reality technology in this context generates never before-seen choreographic formations, which serve as a substantial tool to broaden the existing perception of dance and choreography. 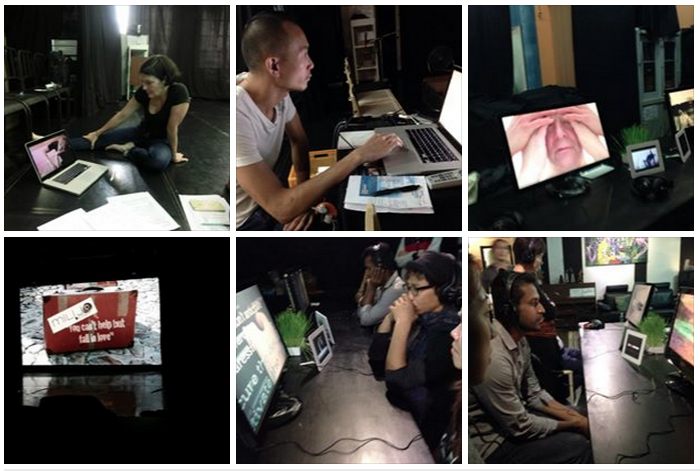 With the use of smartphones and tablets the workshop opened up new perspectives of storytelling and choreography." Testimonial from Lee Lappin, Creative Director of The Space, Scottish School of Contemporary Dance, Dundee Scotland. "Jeannette’s approach to teaching and learning enabled the learners to seek direction, feedback and training whilst remaining autonomous and self-directed during their creative projects. 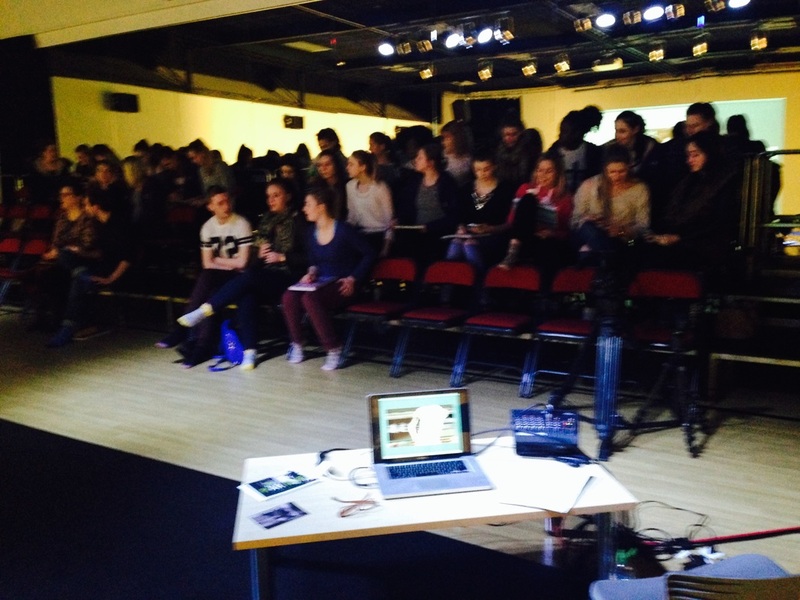 I observed the learners confidence and enthusiasm for using film expand, and also the use of technology in general. The outcomes were of excellent standard and quality which is a testament to the work undertaken." "Ref-Reality" created at the Summer Media Studio, won Best Film and Choreography at the SMS 2016 Awards. Dancers: Viola Tømte & Adomas Jablonskis. Guy Ndoli Director of "Vulnerability" won Jury's Choice Award for University of Utah Student Screendance Competition May 2013 after attending a workshop with Ginslov at the Ishyo Arts Centre in Kigali Rwanda 16-20 April 2012. "uValo" directed by Akona Matyila, was screened at the Durban International Film Festival 2013, after attending Screendance Africa and Durban University of Technology Screendance Workshop, led by Ginslov for the Albany Grove Dance Film Project 22Oct-30 Nov 2012. Workshop: 31 May - 02 June Talk: 02 June "Openness, porosity and audience reception of personal somatic and haptic memory found in P(AR)ticipate: body of experience/body of work/body as archive"
Talk: 28 May: "Openness, porosity and audience reception of personal somatic and haptic memory found in P(AR)ticipate: body of experience/body of work/body as archive"
Screendance Africa's curated list of dance films screened in the Looproom in Die Borse Wuppertal Germany. 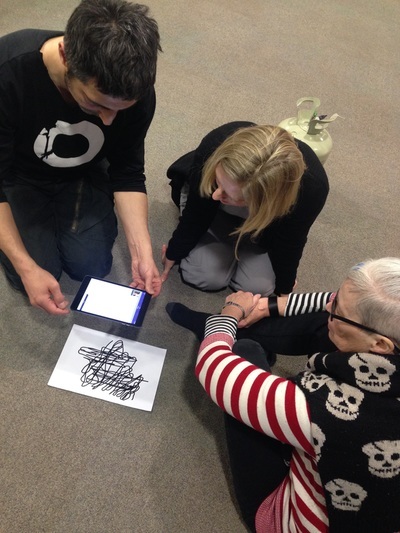 Screendance & AR workshop 31 January 2016 in Die Borse Wuppertal Germany. Workshop 3. 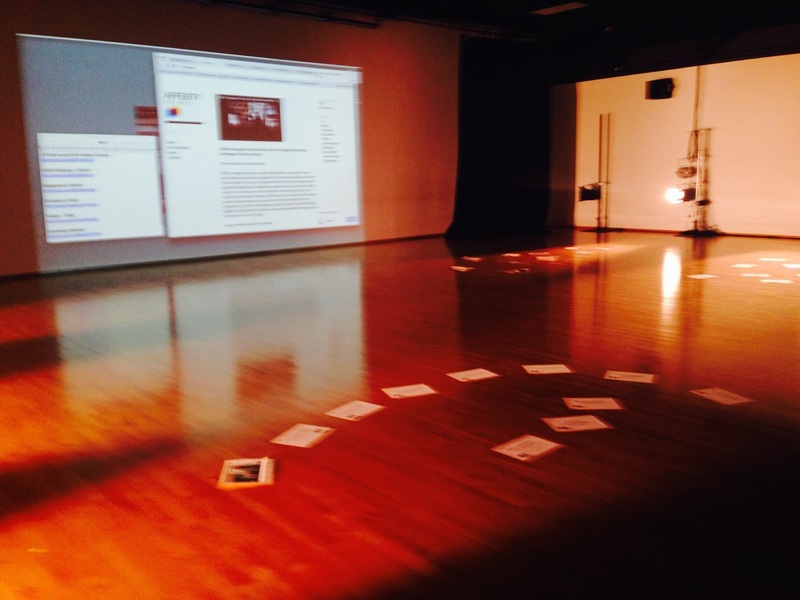 A Leap of Faith into the Future using dance, art, digital and mobile technologies. Attended by people who homeless or had lost their way and needed a step up. 15 January- 29 February 2016. Opening Night of the installation of the AR Gallery at The Roseangle Arts Café Dundee 29 February 2016. Opened by DCA’s Director Beth Bate. Feedback: Clare Brennan Curator Hannah Maclure Centre. "It was wonderful to explore the medium of AR in a creative way. I was pleasantly surprised at how well our students (who are rarely required to move/be physical) took to the tasks. I would put that down to your well-paced and clearly instructed activities. It was easy for them to make connections between the work they are used to doing and the challenge to expand those ideas to collaborate with other disciplines (film/dance etc). It was accessible whilst remaining challenging and fun (a tricky thing to do!)." Feedback: Dr Corinne Jola Lecturer Psychology Abertay University. "I thought your instructions when we were recording each other and emotions were really good. I mostly enjoyed the actual experience of using the Aurasma App. The actual doing is inspiring." 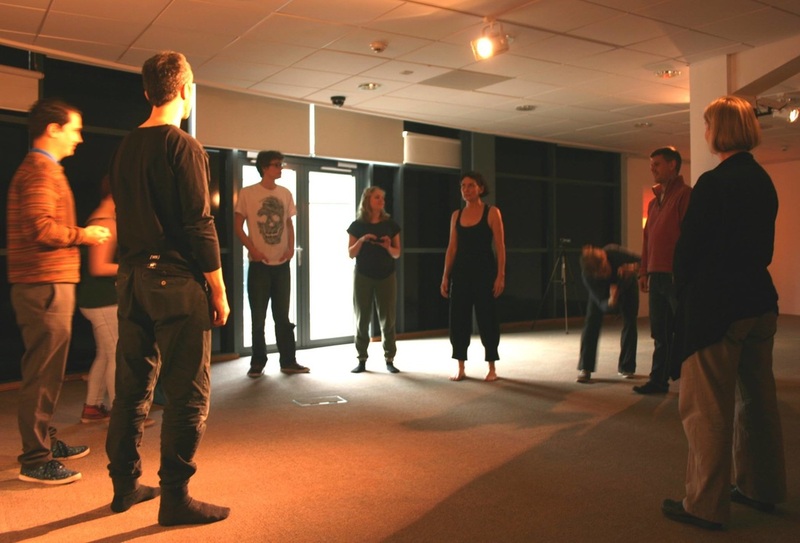 Feedback: Pernille Spence Lecturer DJCAD University of Dundee & Performance Artist. "I also enjoyed it very much. I think this could easily have been a full day workshop. You avoid technological novelty but have developed a beautifully creative way for people to interact with technology, story and physical experience." A 'research in action' practice led introduction to the making of dance on screen: workshops explore, hands on, the crossover of cinematic techniques, dance, choreography, editing and the use of social media. Link.